When I heard that Marvel was going to reboot Daredevil for the Marvel Cinematic Universe, exclusively for Netflix, I can’t tell you how excited I was. I loved the 2003 Ben Affleck movie, despite how universally hated it is, so I was curious to see what they did with it in the universe of The Avengers. Which is another thing I was excited about. It’s not just a regular reboot. Like almost everything Marvel is doing these days, Daredevil is part of the shared cinematic universe they’ve established. Not only that, it takes place in the aftermath of the epic battle in New York at the end of The Avengers. They didn’t just forget about it, they incorporated into the story. Before I get to the story, I want to talk about the tone of the series. Like the 2003 film, the series is very dark in content. Especially in contrast to most of the MCU. This isn’t the family-friendly atmosphere of Thor or Iron Man. People die nearly every episode, sometimes very violently. There’s also loads more swearing than you’d hear in the movies. This might seem like a disappointing departure from the tone of the rest of the MCU, but in reality it makes it more believable. Just as in the real world, not everyone’s story would be a lighthearted comedy. There would be a few dark alleyways for some people. This series covers topics you don’t see in the rest of the MCU. At one point you actually see someone shoot up with a syringe and get high, laughing at Daredevil’s questions, then being surprised that he’s real when he hits them. That alone is darker than most of the rest of the MCU. Anyway, the characters. By the end of the first episode, I already knew these were characters that I was going to care about. Even though the series is darker, there’s still the Marvel comedy throughout the show, especially when it comes to the main characters, Matt, Foggy, and Karen. You believe immediately that Matt and Foggy have known each other since college. I was originally going to give spoilers to talk about the story, but it’s only been out a week and I only just finished it. Maybe once it’s been out awhile. If you haven’t already seen it, here it is on Netflix. I very highly recommend it! I’m talking about the first game of the series, not the series in general. I currently have it rented from Gamefly. Meant to get Far Cry 4, but they sent me this one instead. Whatever. Anyway, I originally didn’t like this game because it’s not as advanced as the later games, like Black Flag. I’m used to those controls and everything. I even made a video about how much I didn’t like it. But, as I said in the video, I just figured it was because I was spoiled by the later games. Well, I’m a little further now, and my views have changed. I am in Acre, Israel (well, present-day Israel), and I just realized that the reason this game seemed so hard for me at first WAS because I was used to the later games, but not in the way I thought. In Black Flag, you could leap into a group of guards and still win. Not so with this game. I just discovered that you have to press R1 to defend. You don’t have to do that in the others. That annoyed me at first. Until I kept R1 held in and fought five guards. They stand still for a few seconds, then one will attack you, and if you have R1 held in, you will kill them easily. One by one this happened until all but one. The last one surrendered and ran off. That had never happened before. So this game requires more strategy than the later games. I think I just grew to like this game a little more. Twenty years ago today, on 31 March 1995, Tejano superstar Selena Quintanilla-Pérez was shot and killed in her Corpus Christi hotel room by Yolanda Saldívar, the president of her fan club. Yolanda had been caught taking money that fans had sent for merchandise. Selena had gone to meet with her under the impression that Yolanda was going to show her papers proving her innocence. Instead, she shot the Grammy winning artist, who died shortly after. Two years later, a biopic was made on her life, staring newcomer Jennifer Lopez as Selena. Although J. 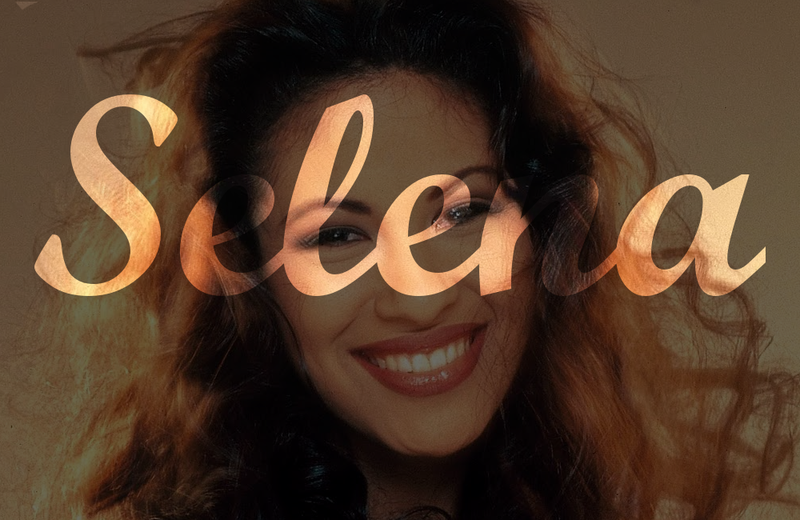 Lo (as she’s known today) had been in films since 1989, Selena was her breakout role. And it’s no surprise once you watch it. I have to admit, I’d never seen it before tonight. I’d always wanted to, but never got around to it. Even my mom asked how I’d never seen it before. I was set on watching it today, though. Thank God for Google Play! Anyway, seeing as it was made a mere two years after her murder, I was afraid it was going to be a rushed made-for-TV movie. That it’d only show the public side of her life that everyone already knew or just focus on one part of her life (which seems to be common with biopics these days…Hitchcock, My Week With Marilyn, etc…). My fears were confirmed when the opening credits were her performing. Of course, after the opening credits it goes back to before she was born, in 1961. It shows her father trying to get a band started, but the fact he and the other two members were Mexican kept stopping them. From a racist club owner to a Mexican club wanting Mexican music (they played songs like Blue Moon). Fast forward to 1981. 9 year old Selena and her siblings are forced into a band by said father. The film really shows her whole story. At the beginning, she and her siblings were pleading with their father to not let them be in a band. By the end of the movie, they’re winning Grammys. You know, that old story. But seriously, what I loved most about the film was that even though her death was still fresh on everyone’s mind, they didn’t make the movie depressing. There’s plenty of comedy in there, and I lost count how many times I laughed. You really get to see how close that family was, so when it shows their reactions to the news of her death, you’d be heartless not to at least tear up. I’d say it’s the perfect tribute to Selena. Though, admittedly “too soon” (imagine if they announced a big budget movie about the life of Robin Williams. I’m pretty sure more than a few people would be upset), it was a very well done biopic. In my search for a featured image, I found this. I loved it, but couldn’t use it, so I’m going to just end this review with it.